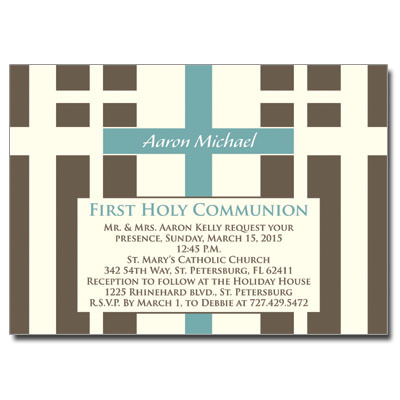 This invitation is a bold and modern way to invite guests to your child's Communion. A combination of cream and brown is accented by a bright blue for a stunning look. Card measures 7x5.